China is doing a China and they are currently in the process of building a replica of a piece of European history. Titanic, probably the most famous ship to have ever existed is having a to scale replica made in Sichuan, China. The Titanic was already famous in 1912 when it left the port of Southampton on its maiden voyage to New York City, as the RMS Titanic was the largest ever ship to set sail. 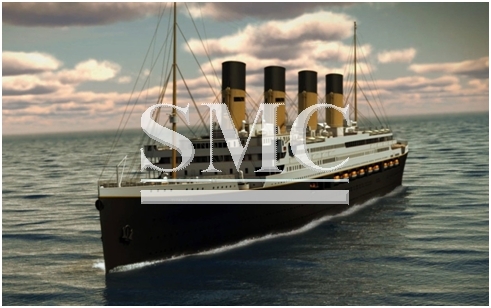 However, it was only when the vessel catastrophically crashed into an iceberg and sank, resulting in the loss of over 1500 lives, that RMS Titanic would be forever etched into history. The county of Daying in Sichuan, is attempting to put itself into the global view by creating the first ever life size replica of Titanic. On 30 November officials of the county of Daying in Sichuan province presided over the keel-laying ceremony, kicking off construction of the 269-m-long replica, which will cost a reported $145m to build. Although the motives behind the project are frowned on by many countries in the world, when the tourist attraction is completed, it is expected to be highly sought after. As far back as 2005, tickets for a one night stay in economy class were being sold for approximately $435. For tens of thousands of dollars, visitors will be able to experience the luxury that rich passengers were being treated to, prior to the fatal collision that was to follow. A completion date is yet to be revealed; however, when it is finished the ship will be permanently docked in a reservoir on the Qijiang River. The company has spent years looking to acquire as many blueprints from around the globe as possible, in a bid to make the ship as closely resembling of the original as possible. The design process has been slow because the design firm, GC High-Tech of the US, which was appointed two years ago, has had to consult with the replica’s builder, the nuclear submarine maker Wuchang Shipyard, in Hubei province.